In 450 AD there is no United Kingdom, the Romans have left Britannia a generation before and the land is ruled in dozens of waring pagan kingdoms. This leaves the way open for different invaders from across the sea. Saxons arrive and violently overrun Glouvia Kingdom in the southwest where nurse Kyla O’Knife is helping survivors of a recent plague, wounded warriors and civilians in distress. However, fate is about to deal Kyla a hand. 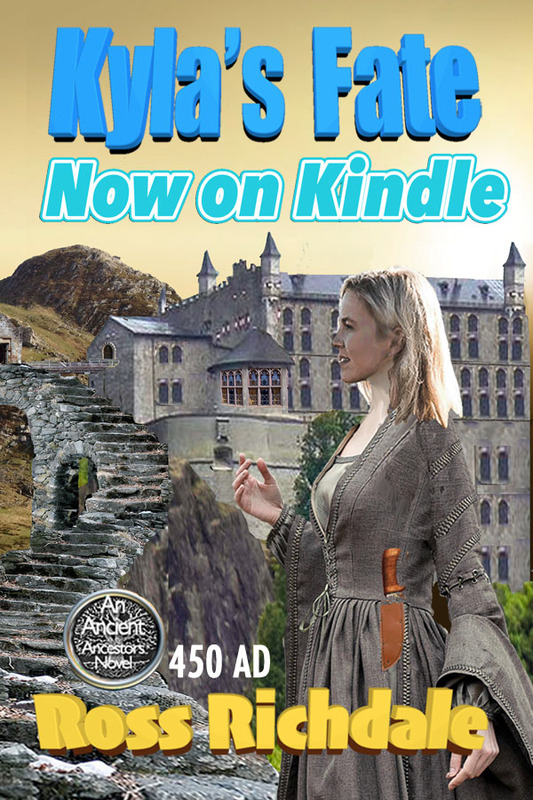 Whether it is good or bad is still to be determined when Kyla is summoned to the dying king’s bed and informed that she is his daughter by one of his mistresses. The entire royal family has been assassinated so after the king’s death she becomes Crown Princess Kyla and ruler of Glouvia. Now on Kindle $US2.99 or local equivalent.